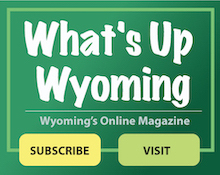 The City of Wyoming maintains and operates its own Mayor’s Court which provides speedy and equitable justice to individuals charged with misdemeanors, settles minor disputes, and encourages respect for law and the administration of justice. Wyoming Mayor’s Court hears misdemeanor offenses that occur within our jurisdiction, with the exception of second offense Driving Under the Influence and second offense Driving Under DUI Suspensions. Domestic Violence and Stalking cases are also excluded from Mayor’s Court jurisdiction. The Clerk of Court’s office is located at the Wyoming Safety Service Building at 600 Grove Avenue. It is our mission to provide the best possible customer service to assist you throughout the court process; however, the Clerk’s office is not permitted to give legal advice. For inquiries regarding court appearance, fine and court cost amounts, court procedures, and other court matters, you may call the Clerk of Court’s office at (513) 821-0141. Juvenile Court Referee: Franklin A. Klaine, Jr. The Mayor’s Court for the City of Wyoming meets every other Wednesday at 6:00 p.m. Trials are scheduled at 6:30 p.m. If you were issued a citation, the court date and time appears in the lower right corner of the citation. Court is held at the Wyoming Municipal Building, 800 Oak Avenue, Wyoming, Ohio 45215. 600 Grove Avenue, Wyoming, Ohio 45215. Please call the Clerk of Court office with any questions: (513) 821-0141.